Well spotted. The Korean language seems to be richer when it comes to the adjective yet showing less diversity when it comes to the noun in comparison with languages such as English. 1) Although Korean peninsular is not grandly big, about 60% consists of mountainous areas meaning preservation of local expressions was relatively easy just like Switzerland and the Basque region of Spain. 2) Korean also had a class system similar to the Indian Caste system meaning languages used by the ruling class was not the same as the one spoken by the working class and others. 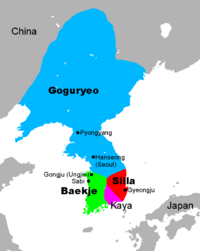 3) Just like Britain, Korea used to be divided and ruled by 3different kingdoms for long. When Korea was unified by Silla, which is Korean equivalent of England for Britain, am certain the victors' highest priority was not harmonizing different expressions used in different kingdoms. why is'nt 검은 연필은 correct? 검은색 연필 feels too formal. 검정 연필 also works ok.
"A man and a pencil"